Like adobo sa gata. 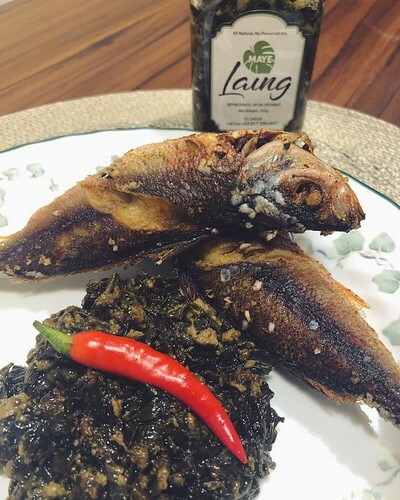 Laing is another classic example of the Bicolano’s likeness to chili peppers and their wide use of coconut milk. In line with this we all know how Filipinos are into this kind of dishes. This Filipino dish comes with dried taro leaves in coconut milk. Other traditional versions include tiny bits of pork, shrimp paste, or shrimp, but these meat additions are simply just additions. Laing could go without them and still keep its delicious reputation. In line with the popularity of this dish, many from other regions as well is good in cooking Laing. As part of one of the best Laing I’ve tasted was cooked by a true Mother’s Love. 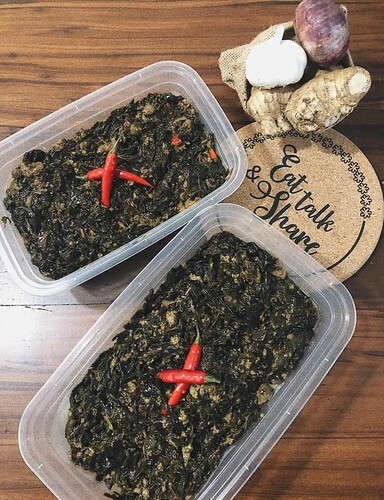 Maye Laing or “My Laing” is now ready to give you a taste of a mother’s love! It’s unique recipe has been perfected for more than 10 years. As part of this I am happy that this is all natural and surely has no preservatives added. This business offers an authentic style Laing that you can now enjoy anywhere you go. Why? The reason is because it is inside a bottle and very handy. This will be a perfect packaging you can use to bring in family outings, gatherings and a lot more. You can also have this as a unique Christmas gift. Why not, right? It taste really great! This is the most important of all. The creaminess, savory, spices is absolutely “astig“. I’m sure “hahanap-hanapin nyo ang lasa”. These are the common expressions we keep on saying every time we tasted something really delicious. Am I making you hungry right now? Are you excited to give this mother’s love a try? As part of it there’s no need to worry because they are now accepting orders online!!! 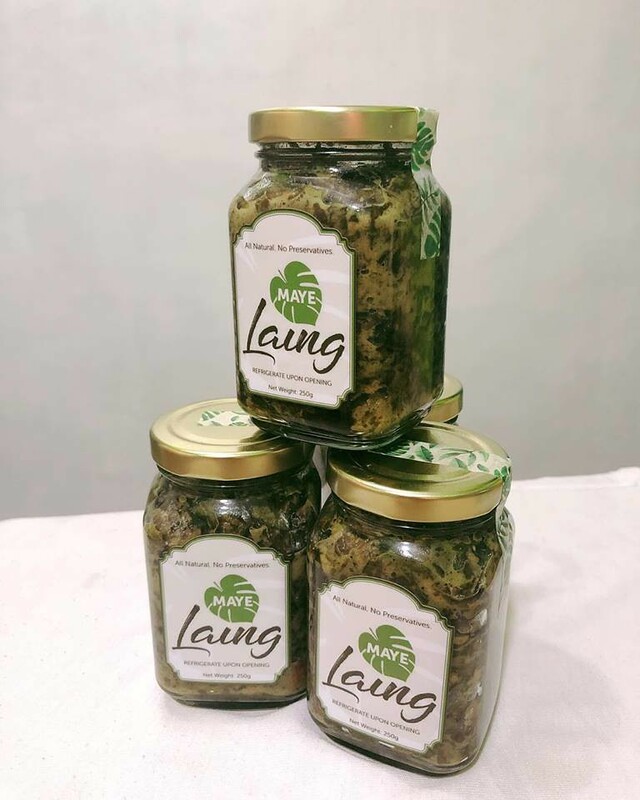 For 120PHP you’ll have such a great time enjoying this all time favorite Laing. Exciting!!! To know more about their exclusive offers and deals you can visit them on their Instagram account: https://www.instagram.com/mayelaing/ (just click the link). (don’t worry I’ll forward you to the best Laing online store ever). What are you waiting for? Taste the best and truest Mother’s Love: MAYE LAING!!! An additional update, Maye Laing now comes with their 2.0 version. It is now available in a larger container. 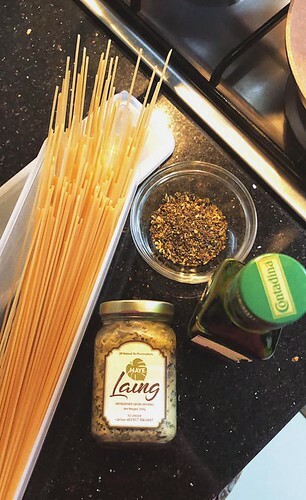 You can now enjoy your favorite Laing and share it to your friends and loved ones as well.